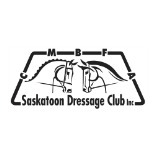 The SDC AGM will be held January 31st at 7pm in the lounge at Willow Ridge Stables. All members and interested parties are invited to attend! This entry was posted on January 16, 2017 by KRaven in Uncategorized.